As far as decorating trends go, plants are king in all kinds of spaces right now. Decorating with plants is something I’ve really enjoyed doing in my new home. My husband jokes that our living room is slowly becoming a green house, which I take as a compliment! If one day the corner of my living room looks like this one below, I’ll be totally ok with that. 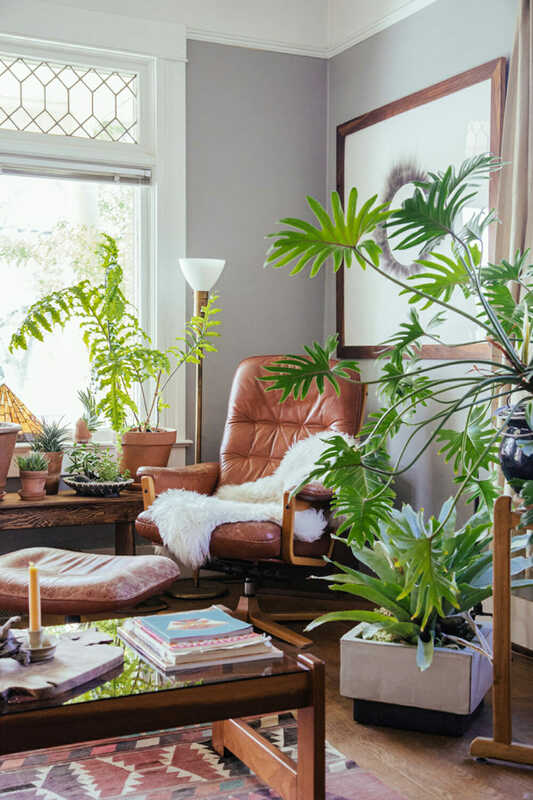 Whether you have a green or black thumb and boast a traditional or bohemian style, decorating with plants will instantly bring life to your rooms and add a kind of coziness and warmth to your space that is hard to accomplish by other means. I have always thought that bringing the outside in, whether with a vase of fresh flowers or an easy-to-care-for potted cactus, did wonders for a room. 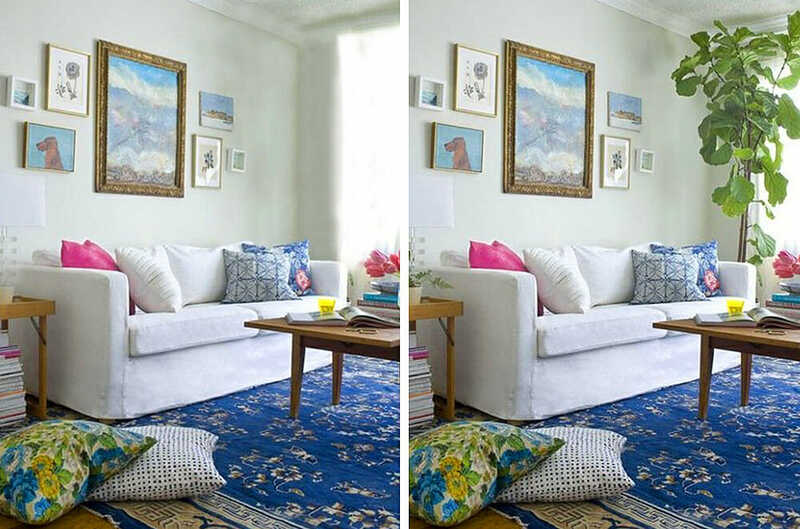 I decided it would be fun to test that theory by strategically taking the plants out of some of my favorite online spaces (through the wonders of photoshop), to see the difference! I think you’ll agree that decorating with plants adds life to any room. Let’s look at some examples: This whole set up is dreamy. 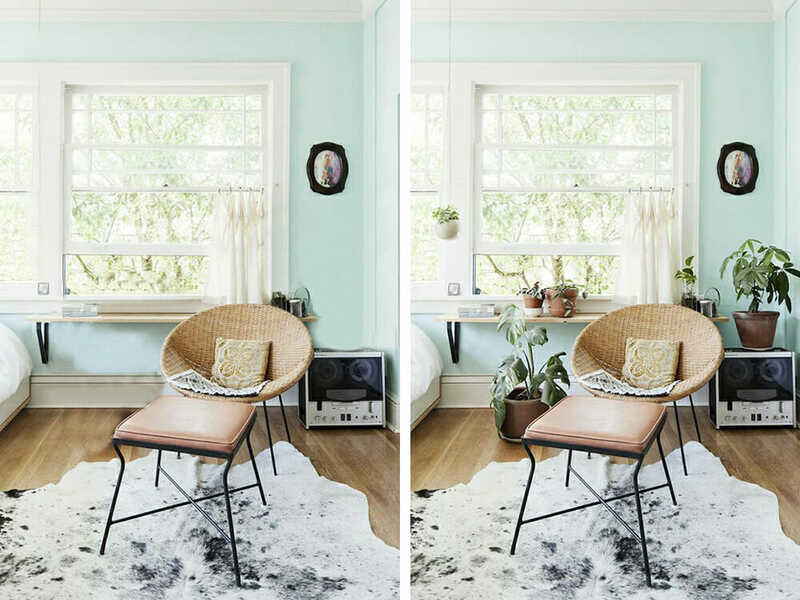 The wall color, vintage-inspired seating, and breezy, bright light by the window. But look at how the whole feeling of the corner changes when some greenery is brought in. So much personality is added to the room as you can really feel the life. This gorgeous room is decorated to the nines. But can you see how that little potted succulent with trailing vines adds a touch of depth to the designs? It makes the space instantly more relatable and less sterile. 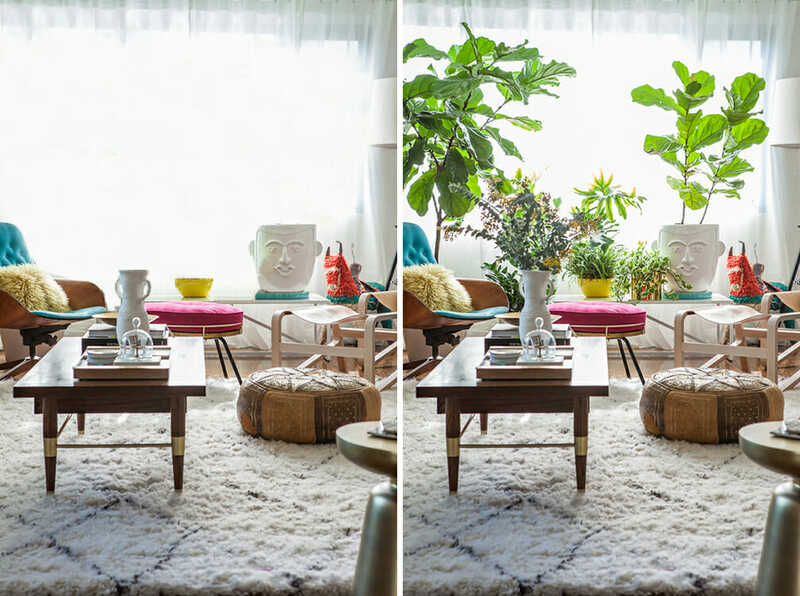 This is a great example of how even one small plant can make a big impact, which is good news if you’re nervous to begin decorating with plants. You can start small and still reap the benefits. This dining room is pristine, but it is taken to a whole new level with that ceiling-high pot of bamboo and the succulent bringing life to the gorgeous tabletop ceramics. 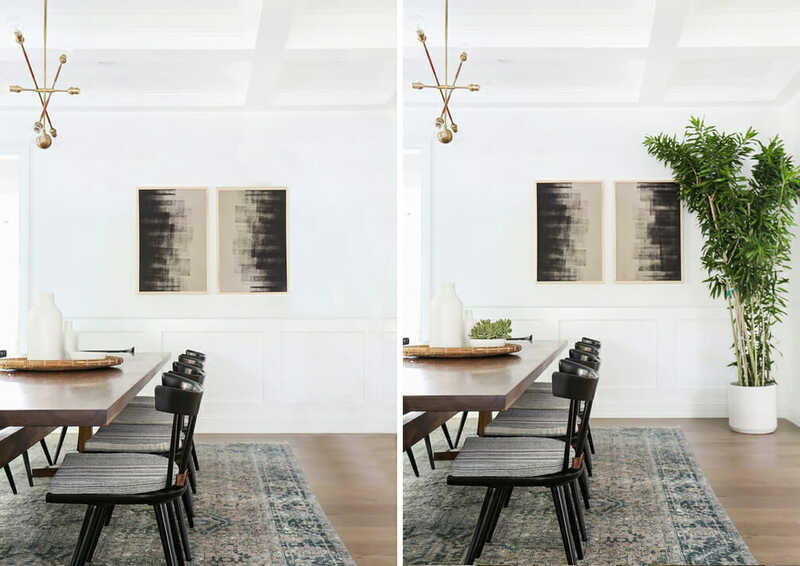 Are you beginning to see how much of a subtle (or not-so-subtle) difference adding some greenery to a room can make? 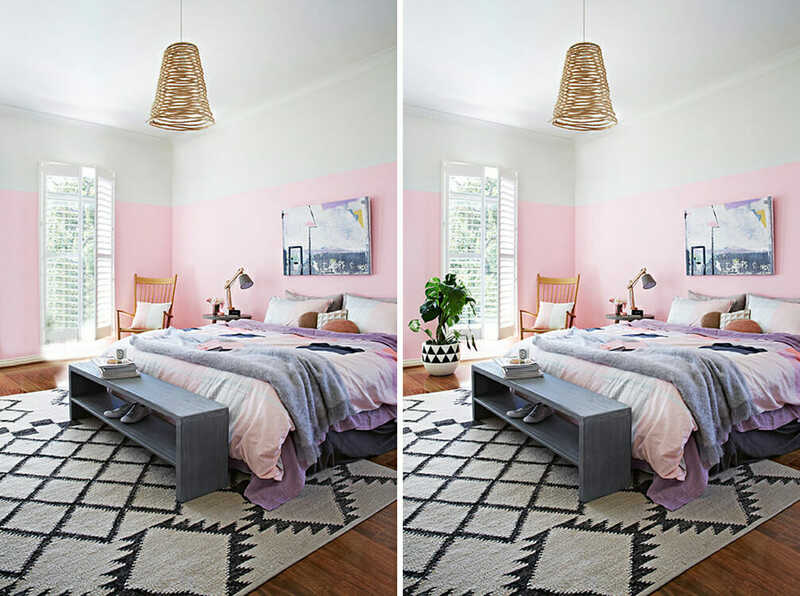 This girly bedroom is a huge inspiration for how I’d love my daughter’s teenage room to look. And that little pop of green by the window adds just the right amount of character. 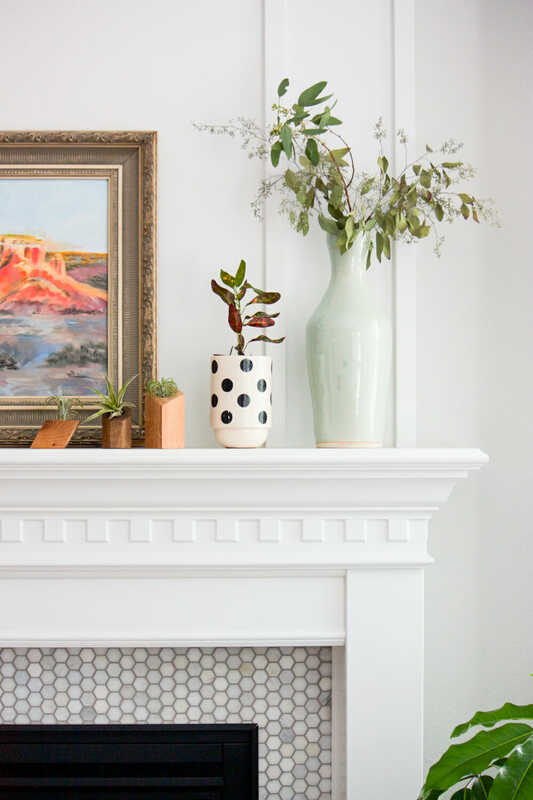 Decorating with plants also gives you an excuse to use some awesome ceramics and baskets in the room, like that great geometric designed pot. Ah, the fiddle leaf fig. Probably the reigning king of the houseplant trend. He really is impressive, and a tall one like this defines the space where it lives. 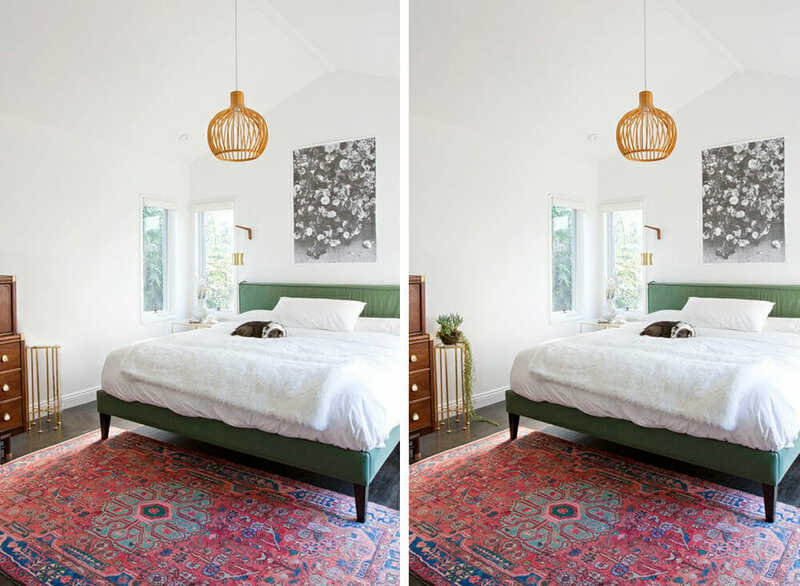 This already eclectic room gets some added personality–and air quality, from those beautiful big leaves. A well-lit bathroom is one of my favorite places to put plants. Because the added humidity in the air helps plants thrive, and there is always water nearby for last-minute waterings. I love the simplicity of this single, potted plant on the tub in an otherwise formal room. 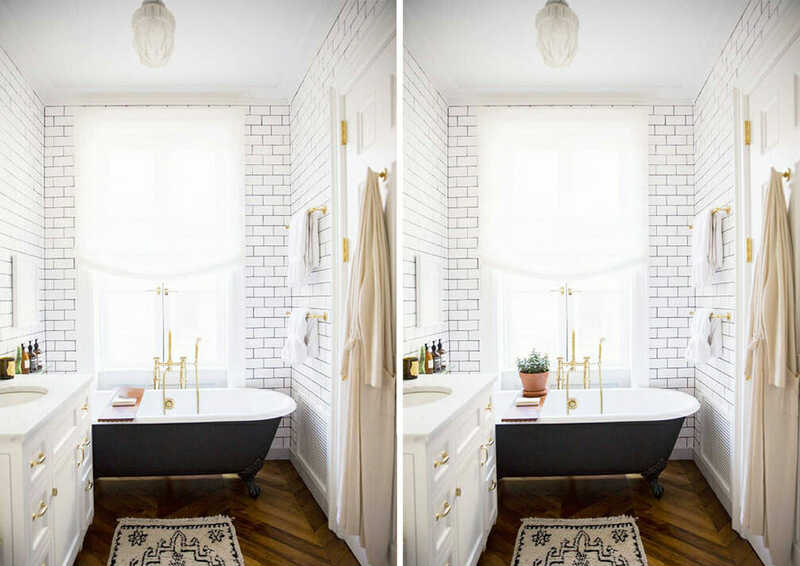 The plant and the pot make the space more relatable and homey. 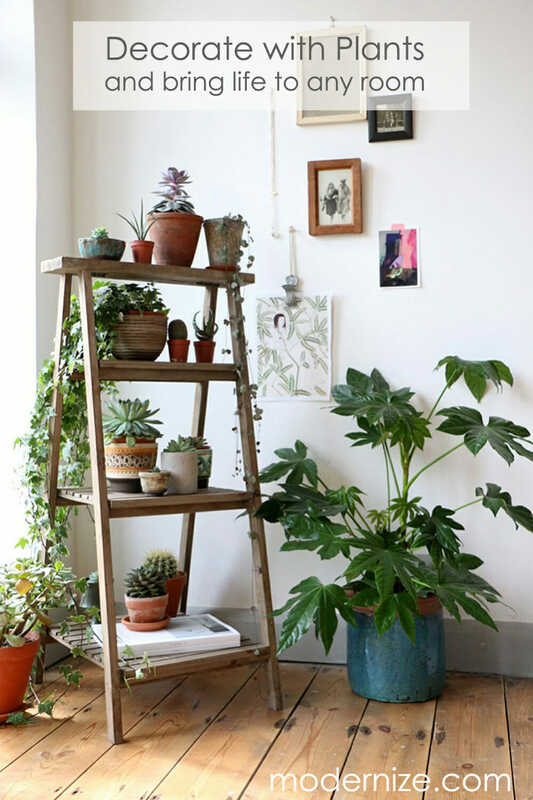 Bohemian homes are already perfect stages for plants, since there are already so many layers in this room, a single trailing plant is all you need. 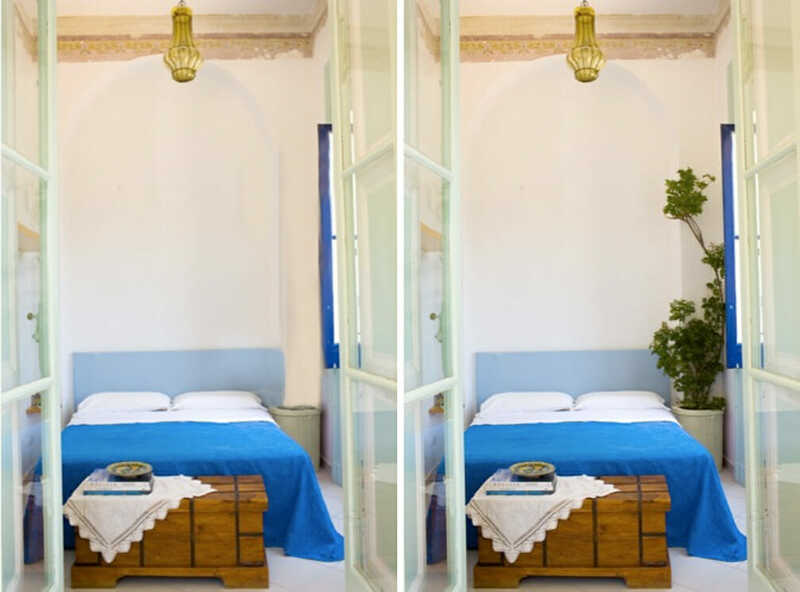 I love the free feeling this one brings to this global inspired bedroom. 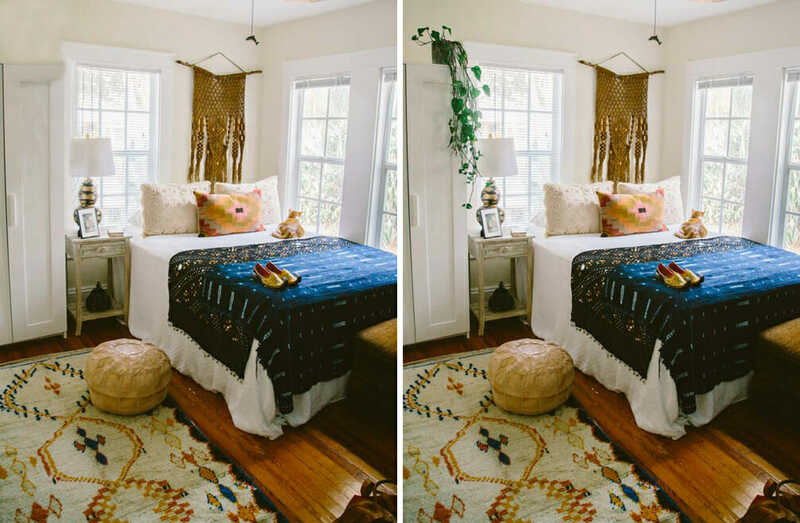 All types of rooms do well decorated with plants, not just layered, bohemian homes. This Italian room is minimal and chic, given a little warmth with the addition of that beautiful plant. Lastly, one of my all time favorite rooms from the internet. This eclectic, vintage living room is practically built around the wall of flora in the window, and seems so unfinished without it! Even with layers of decorative objects beautifully styled, there is an emptiness without the plants that you might not ever notice without seeing the two side by side. Are you convinced? Can you think of a room where you could add some life by decorating with plants? Not sure where to begin? Let me give you a couple basic tips that I’ve learned. All plants need sunlight and water, just in varying quantities. No live plant will survive in a spot where it never sees the sun. So, make sure the spot you choose gets at least a little bit of filtered sunlight every day. Cacti are the lowest maintenance, and some of the heartiest plants to grow. They require very little water (bi-weekly to monthly watering in the summer and not at all in the winter). Succulents are the next lowest maintenance, requiring similarly low levels of water, but maybe higher levels of sunlight. With both cacti and succulents, you’ll kill them faster by over watering than under watering. Always err on the side of less water, and then if you see the plant start to wrinkle or look dry, add a little bit. Tropicals require regular water and lots of light. I water about once to twice weekly on some of my bigger plants, and they seem more able to tolerate damp soil. Some even prefer it. I judge the health of my plants by new growth. With both succulents and other house plants, if they are healthy, they’ll be growing! New leaves on tropicals, and bright green new growth on cactus tell me that the plant feels well enough to be growing. Brown tips on leaves mean the plant is dry and needs more frequent watering, while yellowing leaves mean the plant is being over hydrated and you need to let the soil dry out a bit more before watering again. Once in a while, taking all the plants outside for repotting, adding fresh fertilizer, or simply for some outside air, even for just an hour or so, feels like a good practice. Of course, the outside temperature should be moderate, so as not to freeze or shock the plants, but I feel like mine enjoy a little field trip to the porch at least once a year. Take it slow, and let yourself grow a green thumb as you learn from experience. I started with five small succulents bought on a whim at the grocery store two years ago, and I now have over thirty beautiful plants scattered throughout my house. All literally adding life to each of my rooms. I think that the trend of decorating with plants will only grow, and all of our spaces will benefit from the beauty, coziness, and life that they bring! All image sources can be found on my Modernize pinboard.